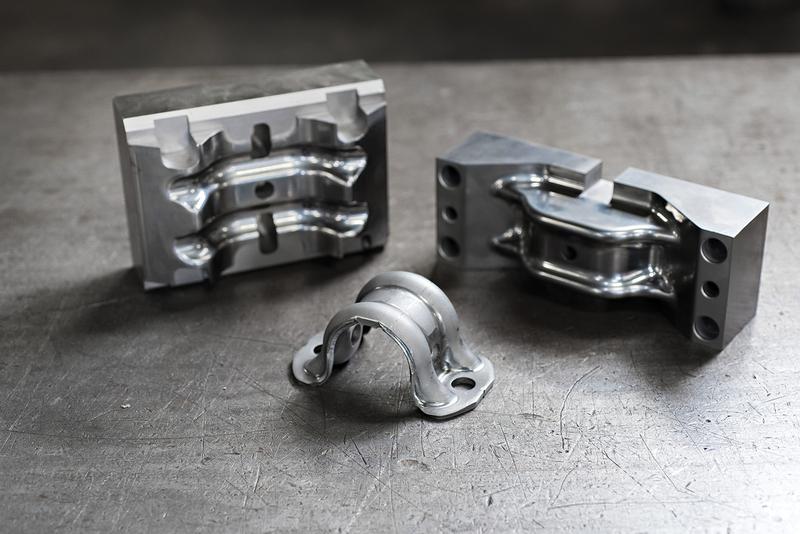 Headquartered in the Cleveland, OH, suburb of Wickliffe, Universal Metal Products has leveraged its 50 years of experience to position itself as a leader in supplying precision metal parts via slideforming and stamping operations. A specialist in high-volume appliance, automotive and industrial metal stampings, the Tier Two manufacturer ships parts out of Cleveland, suburban Toledo, OH, and McAllen, TX. Tooling for this steering stabilizer bracket, formed from HSLA steel, had to be refurbished after only 1000 to 2000 parts, according to Universal Metal Products officials. But with new tool coating, more than 80,000 parts are produced before the tooling requires repolishing and recoating. With its inhouse capabilities and knowhow, few things can slow the company down in meeting customer needs. But one issue has proven challenging: forming high-strength low-alloy (HSLA) steels. Given the complex forms and tough part material, tooling for HSLA tasks takes a beating at Universal. To minimize the risk of worn and broken tooling shutting down a run, or quality issues drawing customer ire, the company has sought to protect its tooling with the best-performing coatings it could find. Much of Universal’s need for tough tool coating arises from operations at its stamping facility in Pemberville, south of Toledo. Here, mechanical presses in capacities to 600 tons churn out parts to the tune of 20 to 50,000 pieces per month spread across about 40 jobs. The parts are produced via progressive dies from material 0.118 to 0.187 in. thick. In Texas, too, the company stamps parts in similar volumes, also using progressive dies from material in similar thicknesses. Across Universal, HSLA has crept in, testing the tooling and the company’s efforts to keep that tooling in production. The strong material is found in stabilizer brackets for the auto/truck industry; refrigerator door hinges; and clutch discs, stack plates and spring covers, also for automotive. Back in 2004, Universal first identified a tool-coating process from Phygen Coatings Inc., Minneapolis, MN, as a possible remedy, after testing other coatings applied at both high and low temperatures. How did the new coating work? Phygen applies its patented FortiPhy physical vapor deposition technology to create a thin and dense nanocrystalline coating structure onto any tool-steel substrate. Described by Phygen president Dave Bell, the process creates a high level of adhesion. And, it does so without pulling carbon from the tools. Temperature also varies among the various tool-coating processes. Chemical-vapor-deposition coatings and thermal-diffusion coatings usually are applied at temperatures greater than 1800 F. Phygen’s coating requires significantly lower temperatures, claims Bell, lessening the chance of distortion that can play havoc with tolerances and minimizing tool-hardness concerns. The coating also is applied on tooling responsible for forming spring plates. 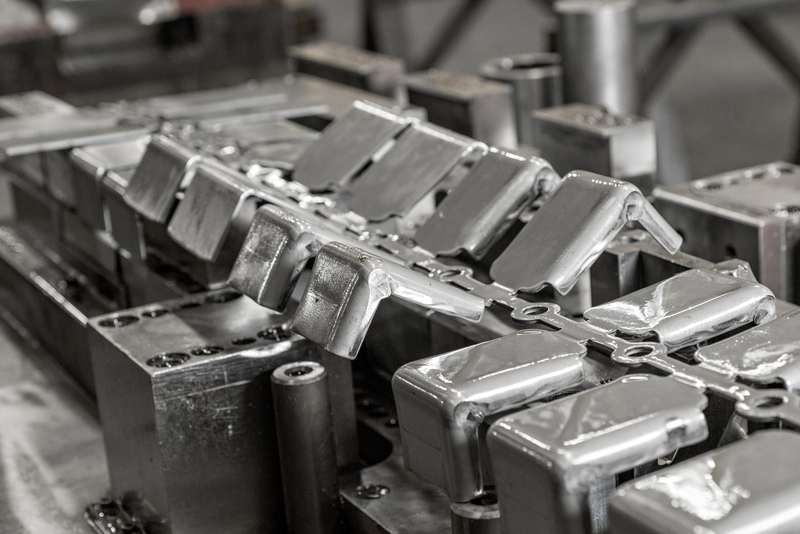 By employing this coating process, Universal also can save on the type of tool steel it uses. When recoating is required, turnaround is only 2 to 2.5 days, reports Bateman, which assists greatly in keeping Universal’s presses humming. See also: Phygen Coatings, Inc.